Eleven-year-old Tyler Brunst from Loomis, California is a kid with big dreams of bringing clean water to communities in Africa. And his dreams are turning into reality through his lemonade stand. His story begins back in September 2011, when the mailman delivered the World Vision Gift Catalog; he read it cover to cover. The next morning he brought the Gift Catalog to his mother and told him he wanted to help bring clean water to Africa. With his first lemonade stand, Tyler raised $400. But his lemonade stand is forever evolving with new ideas and causes. To date, he has raised more than $16,000 for clean water. His goal is to raise $50,000. Do what you love! Create your own campaign with an event, activity, or special occasion. Choose an event, create a page, and get started! Love to run? 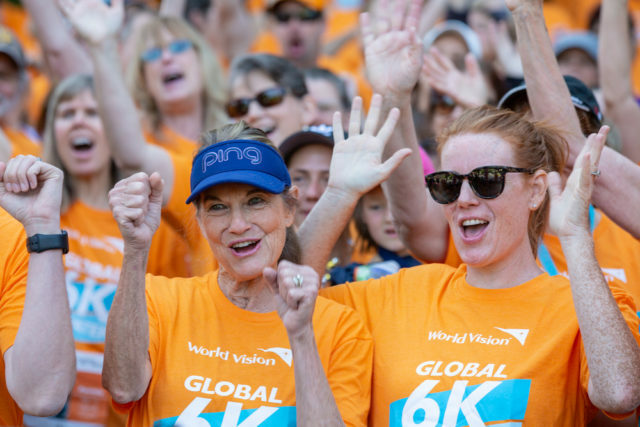 Join Team World Vision to walk, run, or bike for clean water and help bring fullness of life to vulnerable children and communities around the world. Joining the team is simple. Search for a race in your area or travel to another city. If you don’t see an event near you, sign up for one of our DIY events to run, ride, or complete your own adventure.